The group is founded in 1989 by Mr. Raşit Tibet aiming to be a leader in Turkey, to inform people about design world, to stay in this environment with domestic and foreign publications and to organize related events. 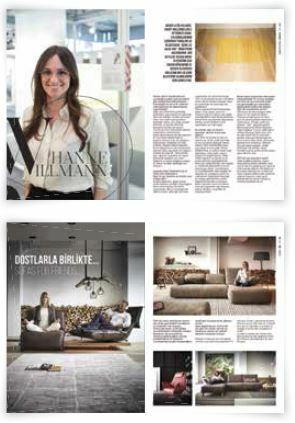 It continuously publishing one of the veteran Turkish B2B publications, TASARIM (Design) Magazine for last 28 years. 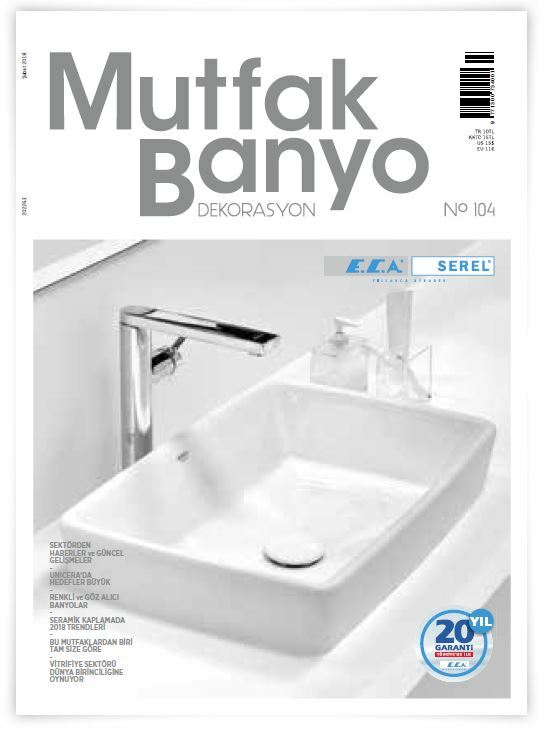 The other magazines published by the group is MUTFAK-BANYO (Kitchen-Bath). 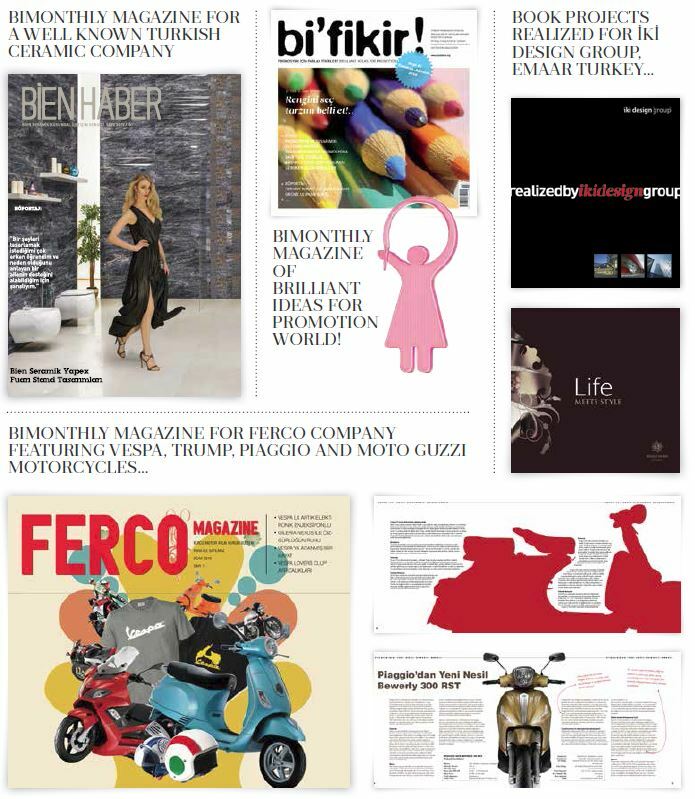 It also distributes Worldwide magazines like FLAP , FRAME and BOB. 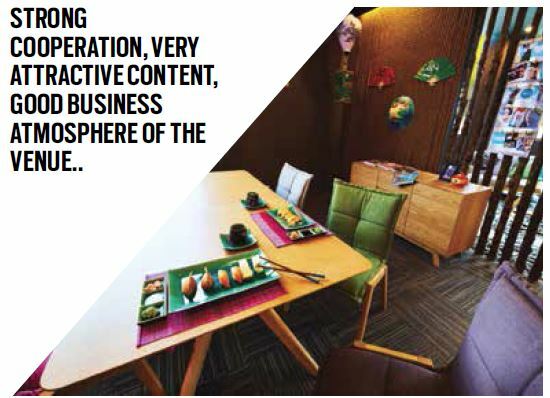 The company owns also a TASARIM BOOKSHOP & CAFE where architectural, design and visual art boks whilst giving a home comfort with its cozy atmosphere. It is the most crowded and most popular place of Istanbul. It is possible to hold meetings, cocktails, workshops in CAFE, where professionals, designers and students are constantly coming. 250 square meters and very well known DESIGN BOOKSHOP & CAFE 7 days a week between 09.00 and 22.00 hours. It is possible to make a lot of presentations and meetings there. TASARIM GROUP, reaches every part of the world in 22 diﬀerent location. 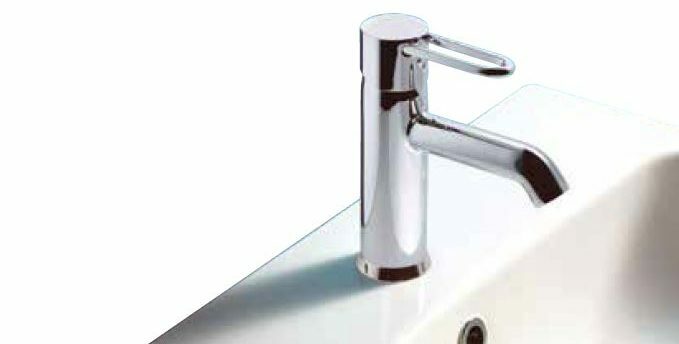 To the countries in America to Far East, it has orginised international design projects. 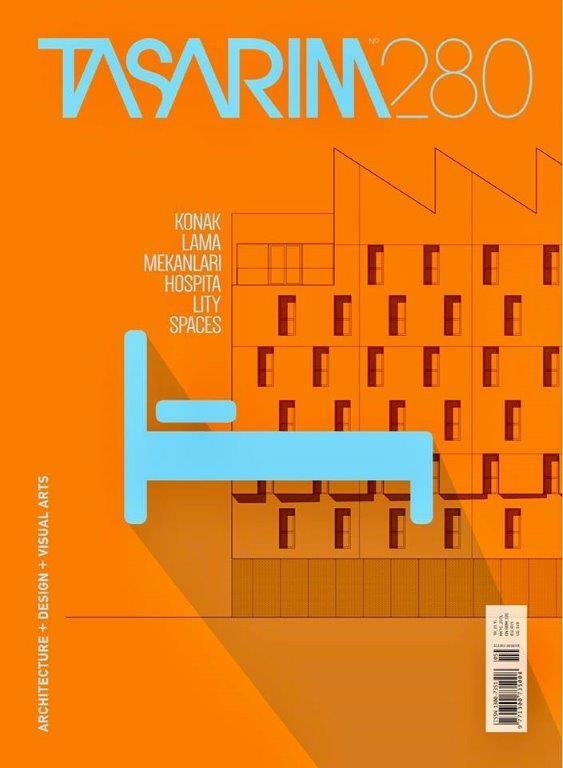 + One of the oldest architectural magazines in Turkey TASARIM has been publishing constantly since its establishment in 1989. 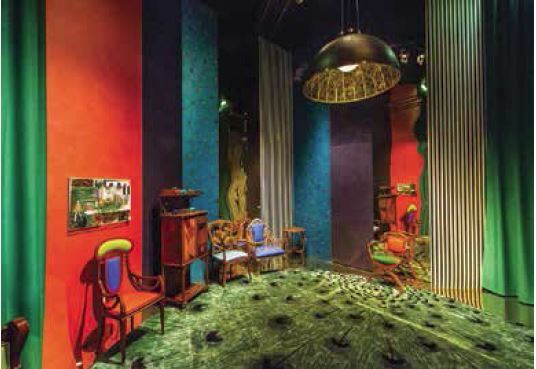 + Showcased approximately 2000 architectural projects TASARIM is a special magazine anticipated eagerly by Turkish architectural world. 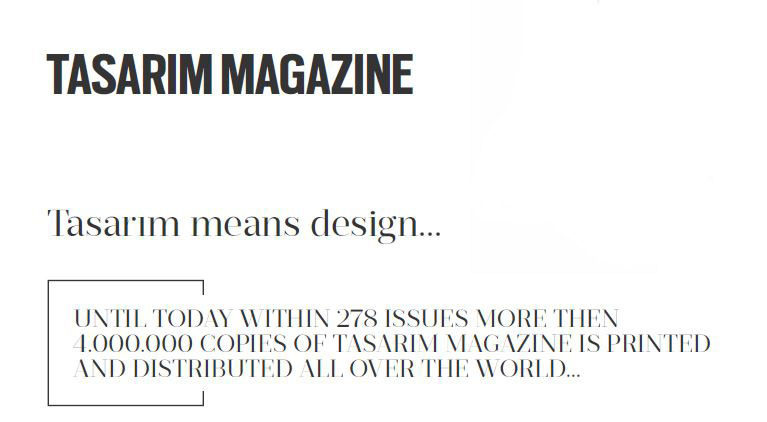 + Tasarim magazine, which is being supported with its 17,500 total print-run and 7.700 subscribers,is the favourite of the industry with the current news while focusing on ﬁ elds of architecture, interior design, industrial design and visual arts. 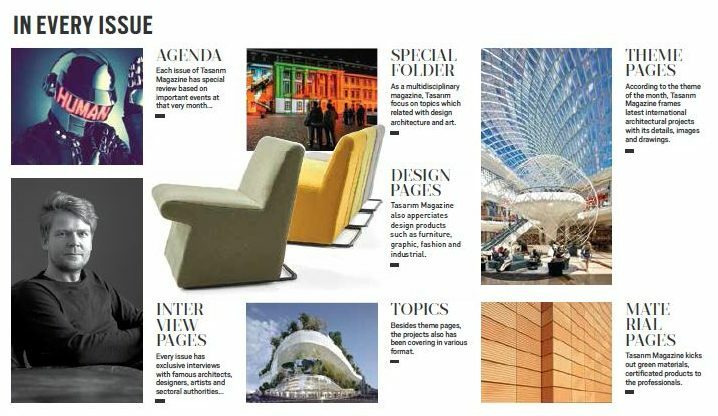 + Featuring a certain theme each month, Tasarim magazine’s content is enriched with relevant architectural projects, editorial and interviews. 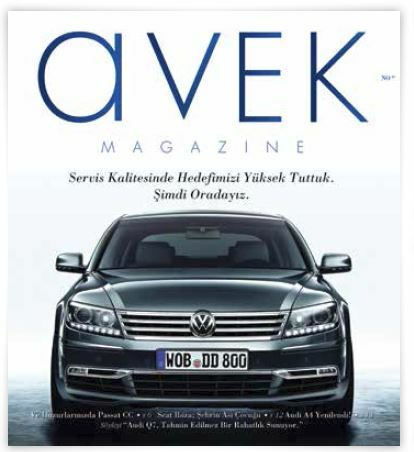 + Published bilingually in English and Turkish. 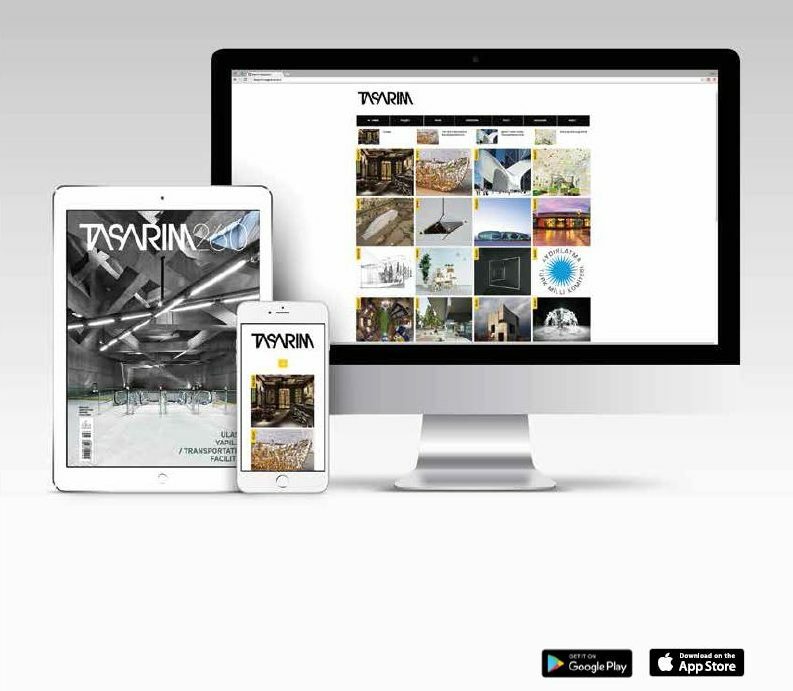 Explore Tasarım Magazine at www.tasarimmagazine.com, also you can download the Tasarım Magazine application freely from App Store and Google Play to your smart phones and tablets. 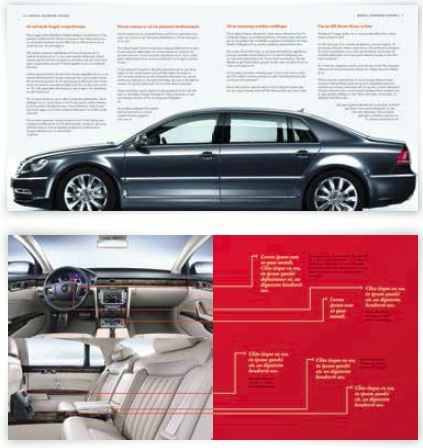 Also our magazine has a wide database for target mailing. 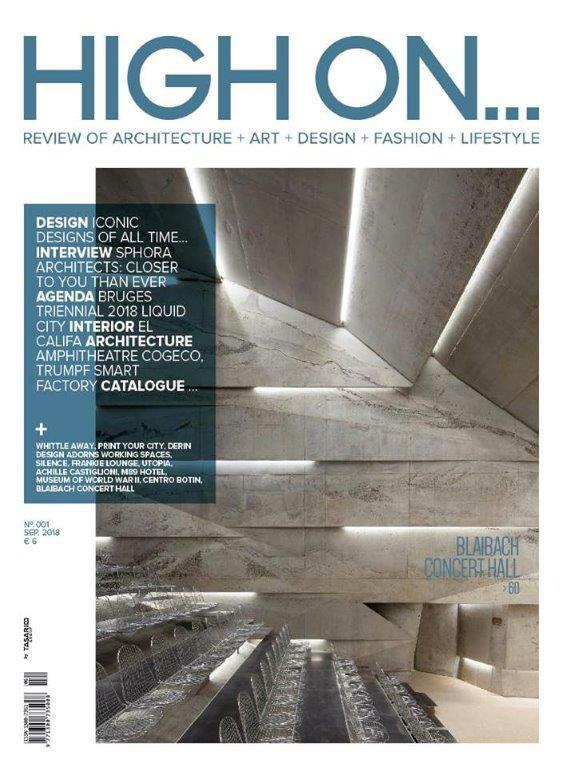 The newsletters are sent weekly or monthly to over 40.000 architects, designers, professionals and users. 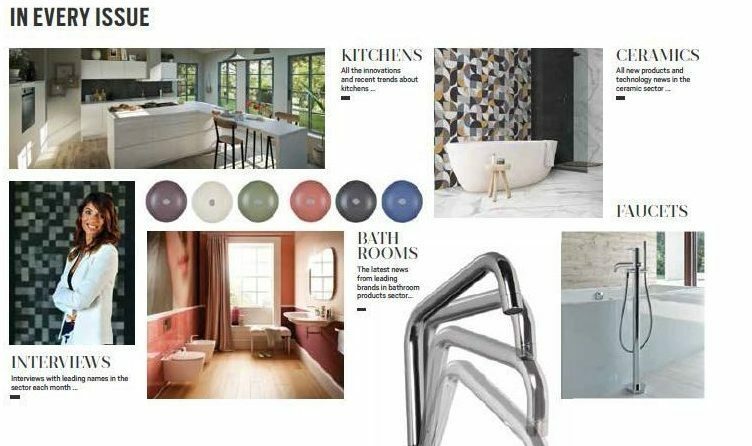 + KITCHEN & BATHROOM DECORATION Magazine includes the new and most beatiful kitchen and bathroom models, also cabinets and furniture related to this sector. 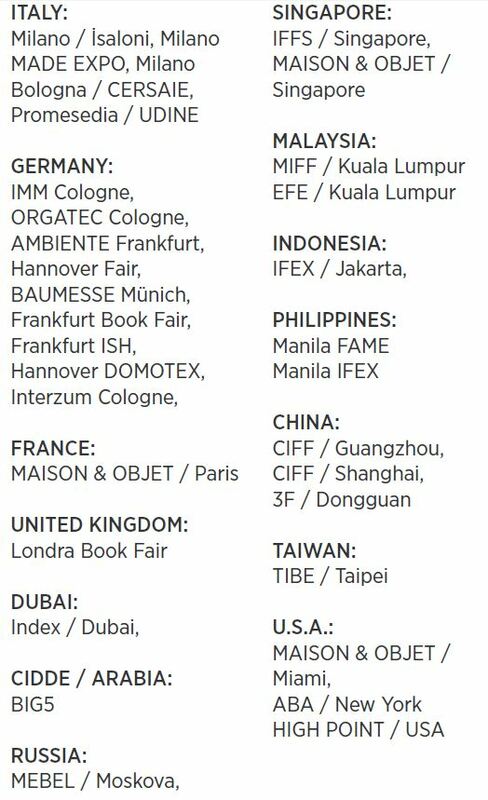 + Latest news from kitchen and bath sectors, fairs and exhibitions. + Lighting fixtures, kitchen cabinets, sinks, ovens, house equipments, accessories, armatures, ceramics, marbles, granites..
of branding by combining its special interviews with artists, as well as the projects and events. Flap Mag aims to not to be an only magazine. It promotes the unity of knowledge by socializing young men and women whose may share their arts are mediated through. 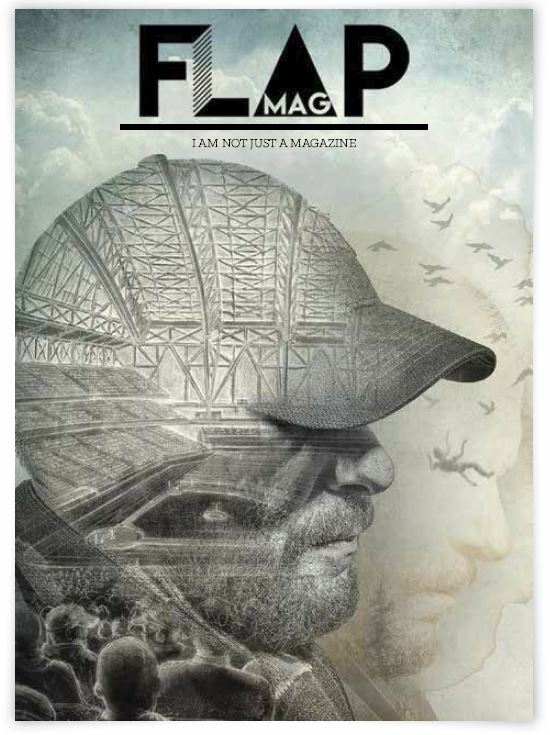 Flap Mag is distributed free due to supports the social and active life. 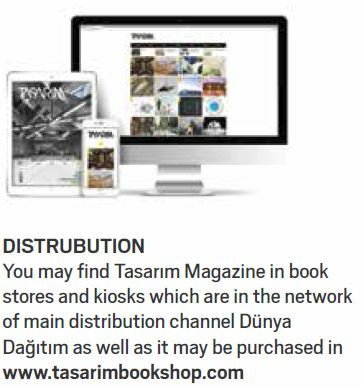 It can be found in hotels, restaurants, art centers, ateliers, chains, bookshops apart from Tasarım Publishing Group which opens the dialogue in the ﬁeld. 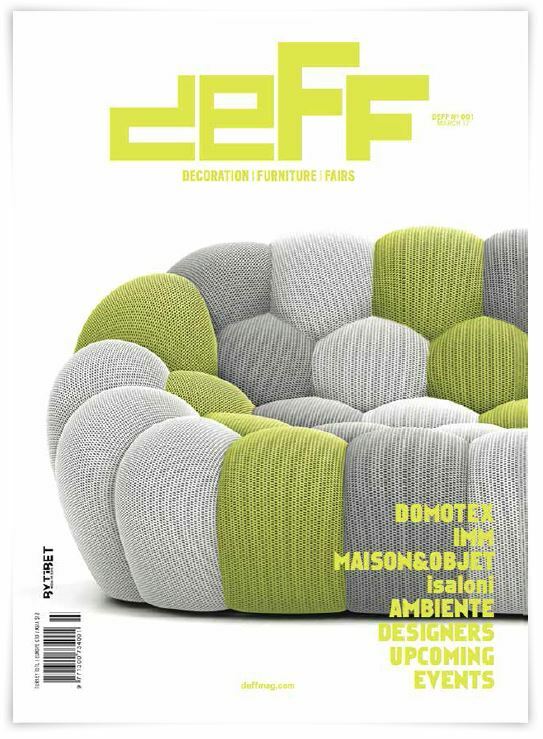 INTERNATIONAL DECORATION AND FURNITURE FAIRS MAGAZINE DEFF, IS THE NEWEST PUBLICATION THAT COMES UP AT THE INTERSECTION POINT OF THE WORLD FURNITURE MARKETS AND FAIRS. All Rights Reserved Tasarım Group.